The Mariah’s Challenge Business and Merchant Partnership program is seeking community-minded businesses and organizations to help continue the revolution of positive change. Partnerships differ with each organization, but include our Merchant Supporting Mariah’s Challenge program, matching scholarships, annual donations, Pennies for Mariah participation, event assistance, or ongoing in-kind partnerships. 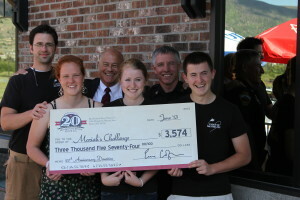 Partnering groups receive promotional packages, increased exposure with a listing on mariahschallenge.com, and listings in the Mariah’s Messenger Newsletter, and scholarship ceremony program.